Understanding the science behind BIOLIFE4D. What is bioprinting? For years scientists and engineers have been using 3D printers to create objects out of metals and plastics. The 3D printing industry has become so big, in fact, that over the next few years its projected worth is expected to top $30 billion. But what if we could print a human organ, ultimately even a human heart? Science has found a way. This is not science fiction. This is science fact. And it’s all done through a process called bioprinting. 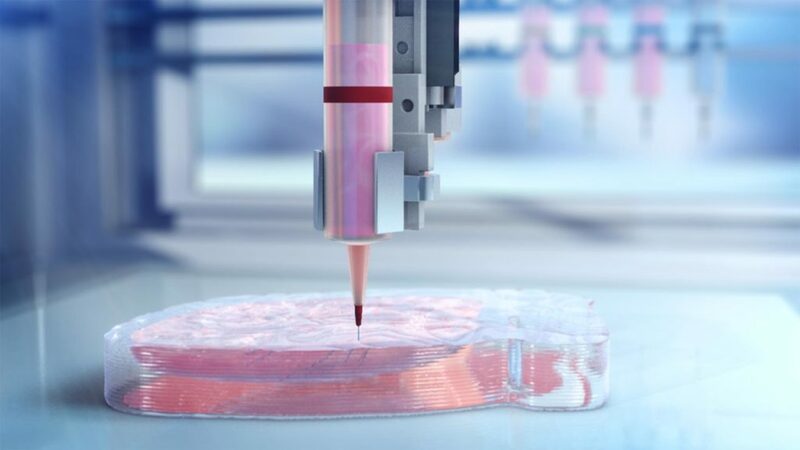 By definition, 3D bioprinting is the process of creating cell patterns in a confined space using 3D printing technologies, thereby preserving cell function and viability within the printed construct. In other words, a 3D bioprinter is a highly specialized 3D printer designed to protect living cells during the printing process. Bioprinters are now capable of creating functional biological structures with the potential to one day restore, maintain, improve, and/or replace existing organ function. Today, advancements in regenerative medicine, adult stem cell biology, additive manufacturing (3D printing) and computing technology have enabled bioprinting to produce human body parts including multilayered skin, bone, vascular grafts, tracheal splints, heart tissue and cartilaginous structures – and even organs. Everything in the human body is made up of cells, and nature itself has been evolving the capability of programming cells to do specific jobs for millions of years. The human embryo is the best example of this biological manufacturing process. Every cell begins as a stem cell and then is biologically programmed to do a specific job through the natural biologic process inside the body. During the 3D bioprinting process, BIOLIFE4D plans to replicate the same conditions in vitro (outside of the body) as occur naturally in vivo (within the body) while promoting natural biologic processes in an accelerated timeframe and in a manner that allows the cells to be specialized for a desired purpose.